Far be it from me to create a controversy, but lately I have had very enriching discussions about the definitions of a veteran and a veteran of the Canadian Armed Forces. The general observation is that it is difficult to arrive at fixed definitions that are agreed upon. I have been wondering since. It must be admitted that in Canada, the Department of Veterans Affairs has cut short the debate over definitions of veteran or veteran status. Their definition is broad, inclusive and the two themes (in French) seem to be considered as synonyms. In fact, a veteran wants to be "any former member of the Canadian Armed Forces released with honorable mention who has successfully completed his basic training is a veteran, or a veteran as defined in the Canadian Forces Measures Act. reintegration and compensation of Canadian Forces members and veterans ". 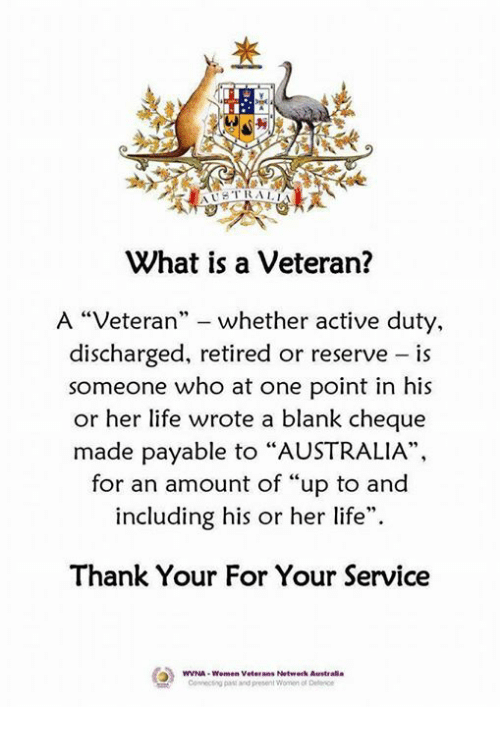 In the latter Act, the definition of "veteran" is limited to "ex-military". The logic of the Department of Veterans Affairs is to recognize the risk that members take by wearing uniforms and taking the oath of allegiance. So all ex-servicemen are considered equal and that they did the Second World War, the Korean War, Cyprus, Bosnia and Herzegovina, the war in Afghanistan or they did not participate in missions operational. However, it must be admitted that there is a "nasty difference" between a member who obtained a voluntary release a few weeks after completing his basic military qualification in Saint-Jean-sur-Richelieu and a man who had a career of 30 years. years with eight assignments and eight operational missions or one who was medically released after a serious injury in Afghanistan. I always question myself. Would not this definition be too inclusive? Should not there be criteria that are always inclusive, but more precise, more detailed, more fixed? It would probably be interesting to know the historical and logical explanations of the translation of the word " veteran " in English to that of veteran in French. A "veteran" should not it be a veteran French? The definition of the Department of Veterans Affairs in Canada, I believe, is more like that of a veteran who is a person who has served in the Canadian Armed Forces and who has been released. As for the veteran, whether I would translate into English as a " war veteran " or a " veteran combat ", participation in a fight or war is necessary. Obviously, things get complicated by trying to clarify the definitions. Was a CAF member who participated in a peacekeeping mission and was "handcuffed" by very strict rules of engagement a person who participated in a fight or war? Was a member of the military who deployed to Role 3 - Multinational Medical Unit at Kandahar Airfield and never left the base a person who was involved in a fight or a war? Should participation in combat or war be active or passive? Like it or not, there are perceptions in the Canadian Armed Forces that differ according to the military professions and roles in operational missions. If we ask an infantryman to define us, according to his conceptions, what a veteran and a veteran represent, it is a safe bet that they will be different from those of the clerk or medic. In this regard, Sarah Dentry-Travis's work on the construction of roles and the identity of Canadian soldiers in a deployment is very interesting and demonstrates the multiple perceptions (inside / outside of the base). , the reasons for leaving the base, combat arms and support crafts, etc.). From my point of view, it is legitimate to question us, whether there was no need to differentiate a veteran (which implies the notion of combat or war) and a veteran? To add to the complexity of the debate over definitions, it is important to note that the Public Service Employment Act of Canada proposes its own definition of a veteran. Item f of the Schedule (Definitions) of the Act concerns CAF members and states that three years must have been served in the CAF and honorably released to qualify as a Veteran. 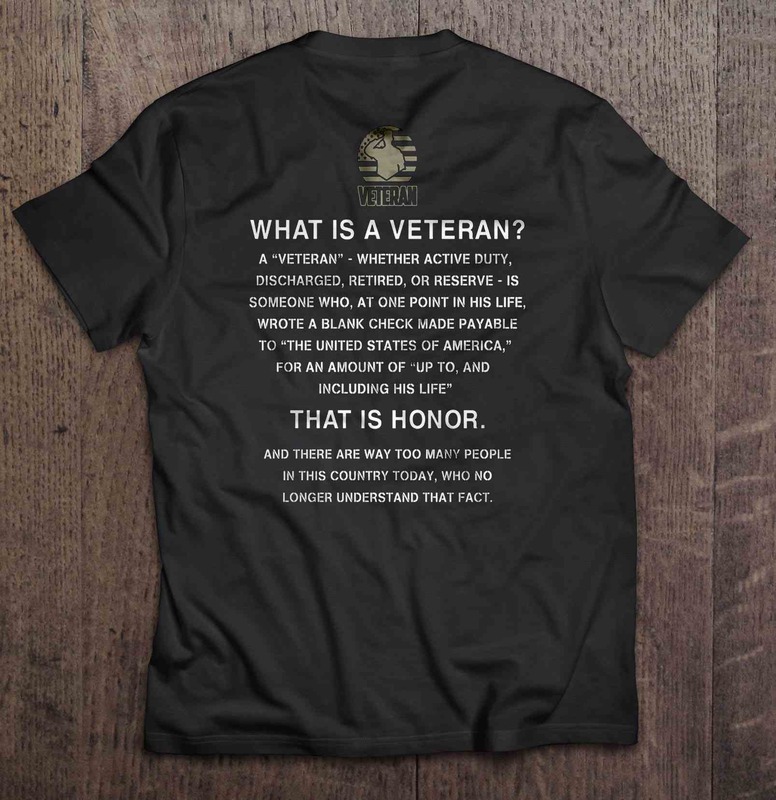 In the United States, according to the US Department of Veteran Affairs, a " veteran " is "a person who has served in active military service and who has been released in conditions other than dishonorable." This definition, which is also very broad and inclusive, makes no reference to the notion of time. In France, a former soldier who wishes to obtain the combatant's card and enjoy the privileges attached to it must fulfill certain conditions. For modern-day ex-servicemen, they must, among other things, have participated in an external operation and have been present at the scene for a period of four months. So what is a veteran? 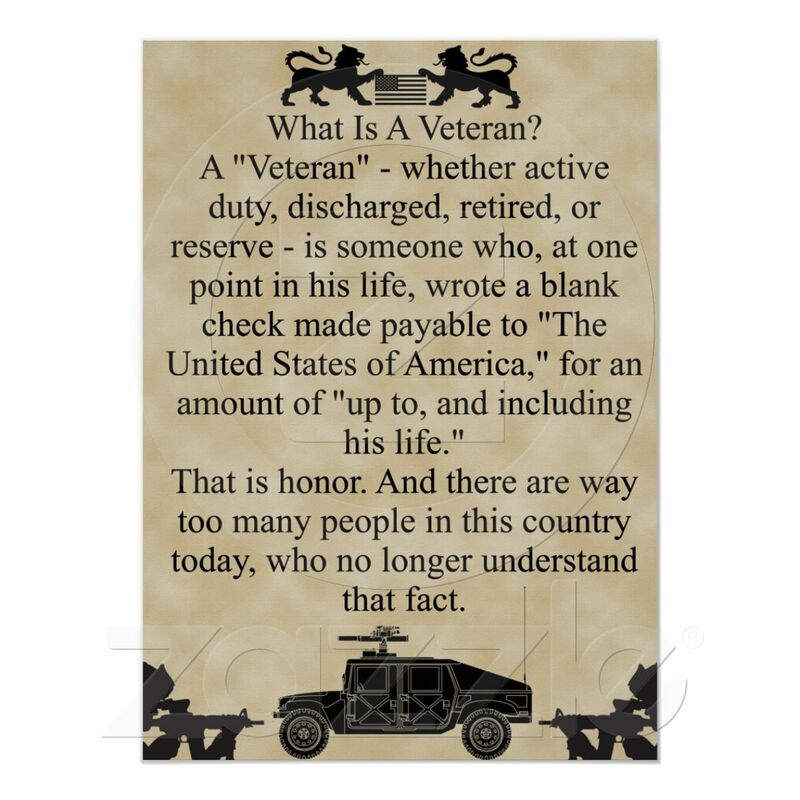 What is a veteran? Should the Veteran's and Veteran's Statutes be distinguished or not? We invite you to share your thoughts on the ÉRISM-AC / F Facebook page.